There’s nothing like a trip to Disneyland Paris. Every visit guarantees excitement, fun, thrills, non-stop entertainment and heaps of fairytale magic. Within the park you’ll find rides, attractions, your favourite Disney characters, delicious food and places to stay for the night, making a trip to Disneyland Paris the complete holiday experience. Some of the most popular activities at Disneyland Paris include meeting and greeting Disney Princesses, Princes and pirates, watching a parade, exploring the studios and hopping on board some of the most thrilling rides in Europe. With all of this to enjoy and more, bringing your family to Disneyland is more than just a holiday, it’s a chance to make magical memories! No matter what the weather, Disneyland Paris will never fail to dazzle each visitor. For children and adults alike, enjoy strolling through different lands to let your mind run away with Disney. Visit Sleeping Beauty in her magical castle, blast off to outer space in a jaw-dropping ride or sit back and enjoy a Magic Tea Cup ride - whether you want big thrills or family adventure - you can have it all at Disneyland Paris. Plus, when you can indulge in a stay at one of the magical hotels for less using Disneyland Paris voucher codes, you can even let yourself go with a Spa, exquisite meal and a sound night's sleep. It's safe to say that Disneyland Paris really can create a little magic for everyone. How do I use my Disneyland Paris vouchers? The ticket prices listed will include the deal you have chosen, so all you need to do is complete your booking. Sign up to the Disneyland Paris newsletter to stay in the know about delightful news from this magical world! 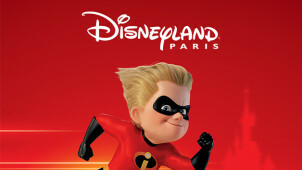 How can I get to Disneyland Paris? There are plenty of ways to get to Disneyland Paris, whether you go by train, plane, car or another method of public transport. Just 40km from the centre of Paris, here you can get on board the Eurostar, and if you are staying at the resort, you can hop on the free Disneyland Paris shuttle which travels between many of the Disneyland hotels. Are any of the Disneyland Paris rides suitable for those with disabilities? Many of the attractions offer wheelchair access and some have induction loops for those with impaired hearing, you can plan your visit in advance too by discovering the rides available for you to visit using the Accessibility Map. What time will the Disneyland Paris rides close? You can find the opening hours for the Disneyland Paris park online, which will also indicate any temporary closures for attractions. You will be given a reservation number after the validation of your payment, and this will also be sent to you via email. Should you wish to cancel your booking, this should be done over the phone and may include a cancellation fee. Do check the Terms & Conditions. Complete the online contact form to send a message to the customer services team. Before your visit to Disneyland Paris, make sure you have all of the information you need to enjoy your trip fully. In the online help centre there is an array of advice and information, including accessibility details for different areas of the park, ticket information, dining options, accommodation details and much more. The Disneyland Paris frequently asked questions page is also a great place to find answers to your questions. Simply choose a topic, select a question and view the information you need. For an extraordinary family adventure, it’s hard to beat a trip to Disneyland Paris. Full of magic and excitement - at Disneyland Paris - the imagination of kids and adults alike can come alive. Get to know your favourite characters, and enjoy the rides, while Disneyland Paris vouchers will let you save on tickets and a whole array of activities. With colourful parades and delicious food available in the park - Disneyland Paris will create beautiful memories for all that step through its golden gates! You can invest in an annual pass with Disneyland Paris to experience the magic whenever you’d like for an entire year! Perfect for anyone who enjoys the thrill of the rides or simply the escapism of the make-believe environment - this is a surefire way to let you discover more of a fairytale land and for less with Disneyland Paris voucher codes. With perks for each type of annual pass, be it the Discovery Pass, Magic Flex, Plus pass or Infinity and beyond! With discounts on parking and of course on the usual Disneyland Paris ticket prices - this is how to make memories. We love to bask in the magic that is Disneyland Paris and to make the most of our getaway with one of the many Disneyland Paris holidays to be had. With a Disneyland Paris discount code from us, you can dive into the excitement of the rides and attractions by day and then enjoy the luxury of the hotels in the evening. Offering diverse packages to be enjoyed all year round, this is sure to be a holiday like you’ve never had before.